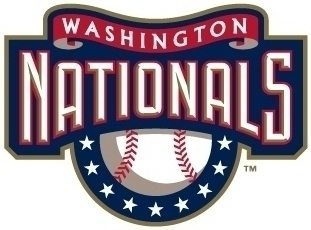 The Nats drew a 10th Inning walk-off walk to beat the Dodgers 9-8 last evening, extending their current winning streak to five. We swept the Dodgers earlier this week and this afternoon we go for the sweep of the Braves. Sure, we're 24 games behind the Mets. Sure, we're playing for nothing but our honor at this point. But the wins are just as sweet for all that. UPDATE: Boo-Rah! Nats win 8-4 on an Aaron Boone dinger to sweep the Braves and go to six straight wins. Tomorrow: Philly [insert evil Imperial Death March here]. Gary? I reckon you have to be pretty pleased the Nats are en fuego at the moment, seeing as the Phillies are at your heals, yeah? LABOR DAY UPDATE: Make that seven straight wins. WOOOT! !